What and where is the starting point? It was our first week. And that morning was my first session with both current and new students. 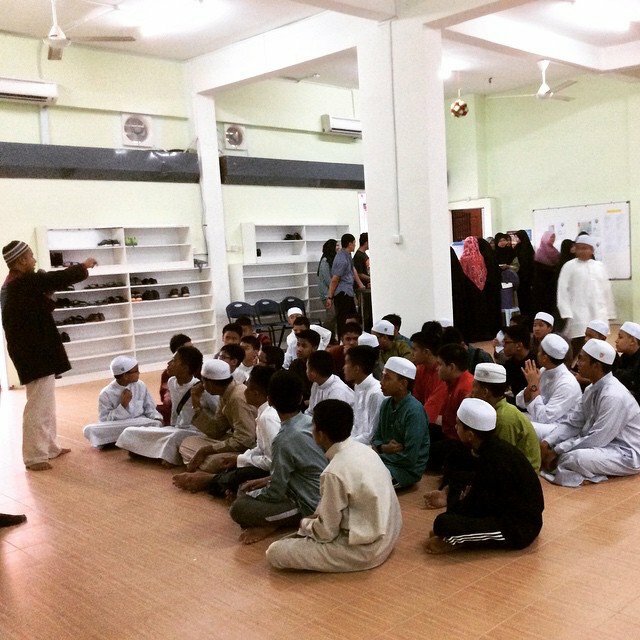 “When seniors and juniors gather in this school, how can you relate this situation with Sirah? Any particular event that came across your mind?” I asked our students. They looked each other. As if so many things happened and I ‘miss the train’. “Yes, indeed. Hijrah! Your brothers and sisters left their home, and come to this new place, we should consider our selves as Ansār and the new students as Muhājirūn. Ansār loved Muhājirūn, they helped them and they even sacrificed for their new brothers and sisters. Allah praised them in the Quran because of their selfless attitude” I responded. The seniors love the juniors, assist them, and provide them to fulfill their needs. The juniors love the seniors, respect them, and pray for them. Those are the truthful and will be the successful, as promised by Allah. There is nothing funny and cool about bullying. It is us to decide, if the school is going to be a school of faithful people, or a school of jahiliah which could not be cured by our Islamic garments , our memorization of the Quran or our collection of A’s in the exams. We will never tolerate bullying. May Allah bless you and our school, boys and girls, khalifah of Allah.